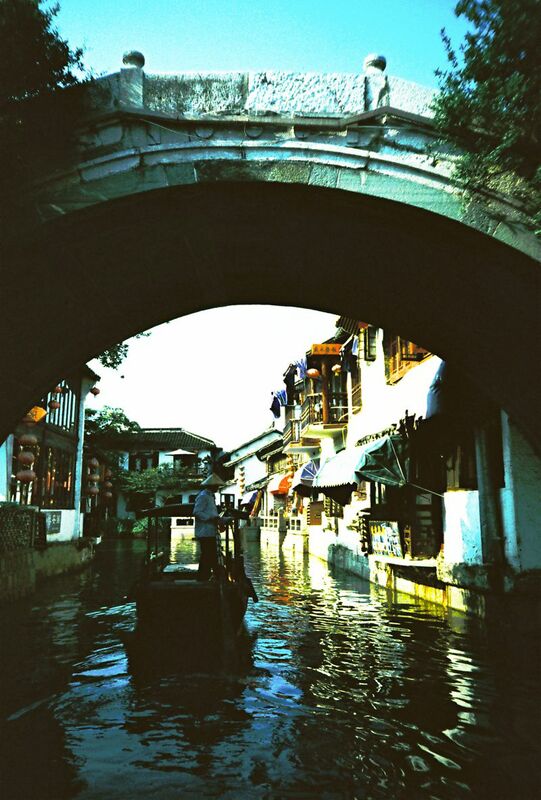 A gondolier slowly makes his way through the ancient canals of Zhujiajiao, Qingpu district of Shanghai, China. This village is over 1,700 years old and many of the buildings lining the canals are similarly old. Date Uploaded: Aug. 26, 2011, 6:21 a.m.